The February playlist begins with the awesome new track by Riton, ‘Rinse and Repeat’. The track includes vocals by Kah-Lo, a Nigerian woman with a very low internet profile. You can follow her Twitter account here and listen to more of her on Soundcloud. Julia Holter’s Have You In My Wilderness is one of my favourite albums of last year – absolutely sublime. Her current single from the album, ‘Sea Calls Me Home’, is an absolute delight. It’s always good to hear a track with such an inspired use of the saxophone, and this track nails it. Tommy Genesis is an intriguing new Canadian rap star. If you like ‘Execute’ read more about her here and here. I’m looking forward to listening to more of her. Feeling rubbish? Crank up Mama Cass and feel better. If you like the Hinds track, check out Holly’s review of their latest album here. Click here for your February playlist. Enjoy! 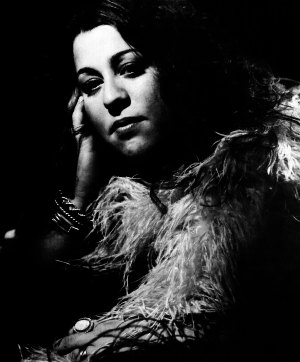 The image is a black and white shot of Mama Cass, taken by RCA Records in 1972 as a trade shot for her album Cass Elliot. 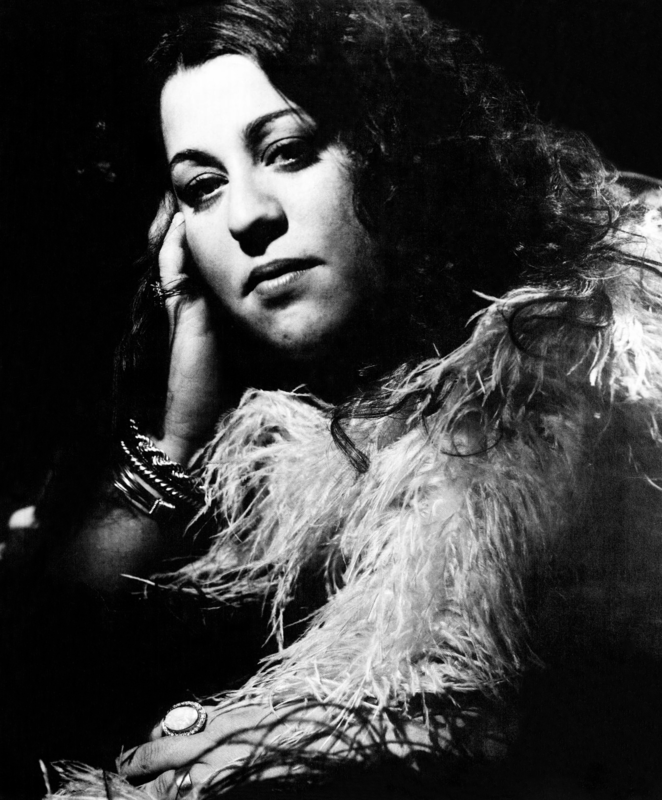 The picture is a head and shoulders shot of Mama Cass, turning towards the camera, adorned with rings and bracelets, and wearing a feather boa or coat. She looks fabulous, but also a little sad and tired.